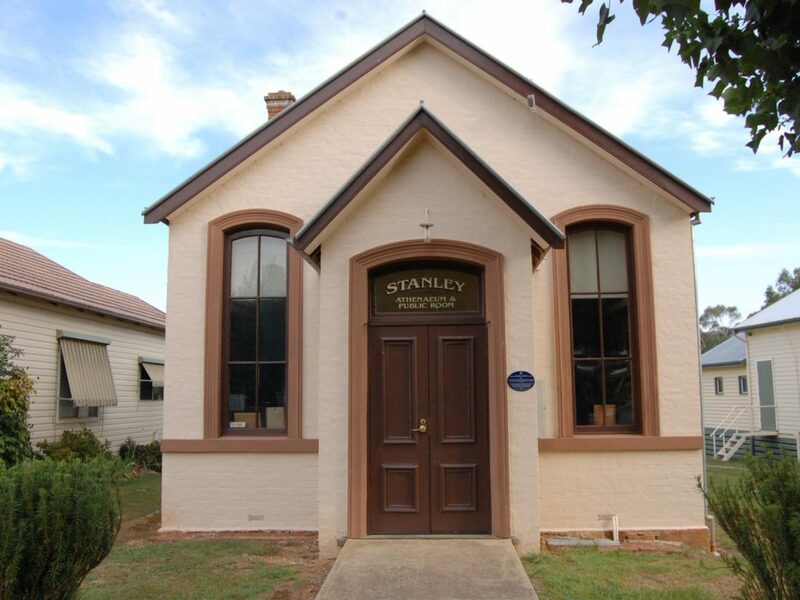 From 1863 until the 1970’s the Stanley Athenaeum was a lending library, it is now home to a unique collection of historic books, the Geoff Craig Local History collection and Stanley Community Archives that are available for research and reading. The Friends of the Athenaeum hold regular temporary exhibitions informed by the Athenaeum collection and the Community Archives. The Stanley Athenaeum continues to have a vital role as the hub for many of Stanley’s cultural events. l social functions, fundraising events, exhibitions and public meeting. It is the regular meeting place for community groups.